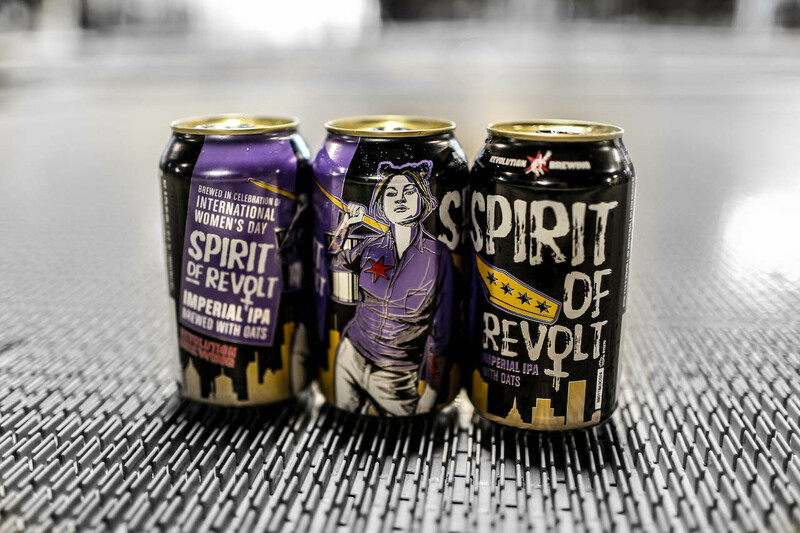 (CHICAGO, IL) –After debuting an empowered Imperial IPA in 2018, Revolution Brewing is bringing back Spirit of Revolt—created by the female employees of Revolution. The beer is named in reference to a Margaret Sanger essay [“Because I believe that deep down in woman’s nature lies slumbering the spirit of revolt,” from “The Woman Rebel”] and features specialty malts from female-led Weyermann Malting. A unique dry-hop blend of Cascade, Cashmere, and Styrian Fox hops add notes of citrus, pineapple, and melon, while oats add a smooth, soft feel. After a draft-only debut, this year’s batch will hit the market in cans as well. Last year, Revolution raised over $20,000 for Connections for Abused Women and Their Children with pours of Spirit of Revolt, and this year’s goal is to surpass that number. The beer’s time as a featured release will culminate with an art show at the Revolution Taproom (3340 N. Kedzie) on Friday, March 8 – International Women’s Day. The event will feature a gallery display of work from local female artists. Spirit of Revolt is available now on draft and in cans. Revolution Brewing is the largest independently owned brewery in Illinois, brewing every drop in Chicago between the original brewpub space in Logan Square and a production brewery and taproom in Avondale.